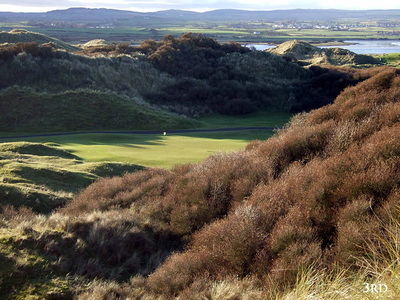 Northern Ireland Royals Golf Trips. Royal County Down (RCD) and Royal Portrush are the two “Royal” Courses hence the naming of this tour. 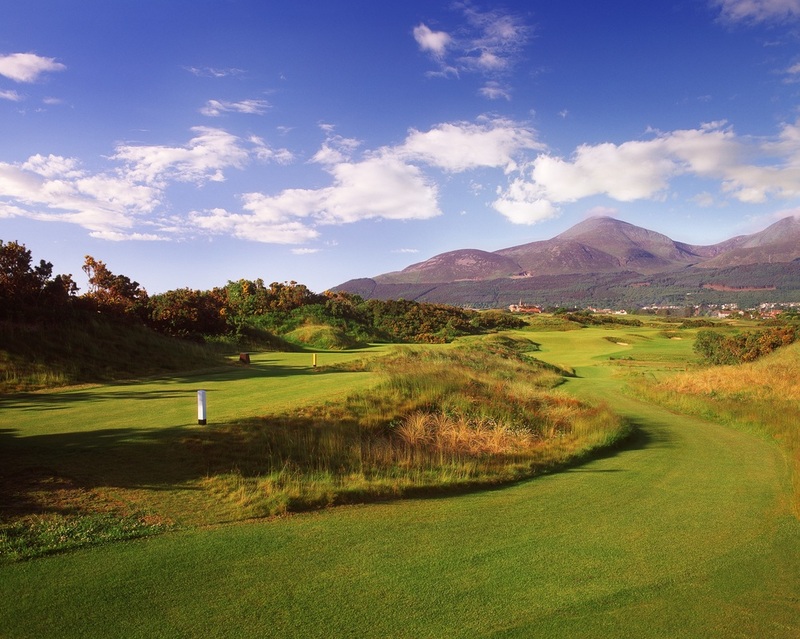 RCD, renowned the world over for it’s iconic setting, is a recent Walker Cup venue and in 2016 was named the world's number golf course by Golf Digest magazine. Royal Portrush hosted the Irish Open in 2012 and will host the The Open Championship in 2019. 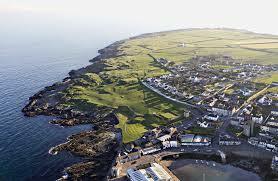 Standing proudly beside such household names are Portstewart, Castlerock, the cliff-top gem at Ardglass. Ballyliffin Golf Club ( Glashedy & Old Courses) in County Donegal are within easy reach to make up an exhilarating week of top links golf in Ireland. 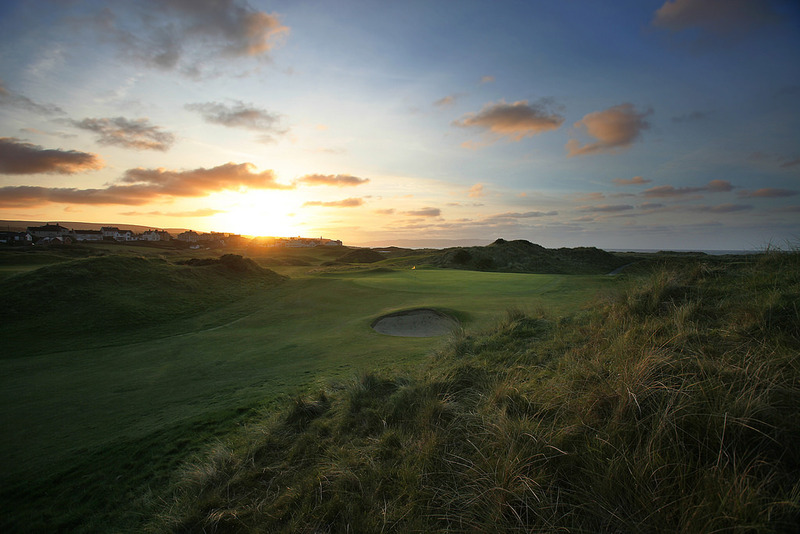 Stay at Portrush or in the nearbly whiskey village of Bushmills before moving to the seaside town of Newcastle, Co. Down. 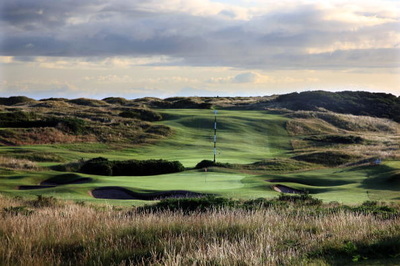 This is truly a memorable golfing experience. Designed by Old Tom Morris, in the shadows of the majestic Mourne Mountains, Royal County Down is widely regarded as Ireland’s finest links course. Indeed it is in the top ten of the world’s greatest courses and in 2016 was named the world's number 1 course. 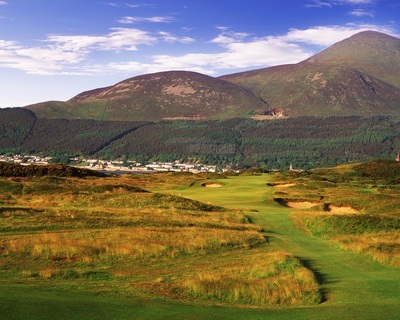 “Exhiliarating even without a club in your hand” is how Royal County Down was once described. 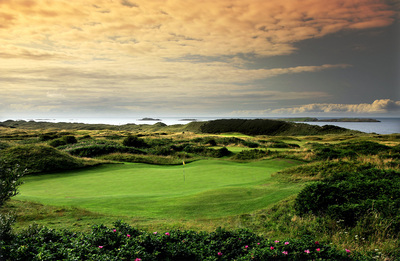 Signature holes are the terrifying 9th and 4th holes. 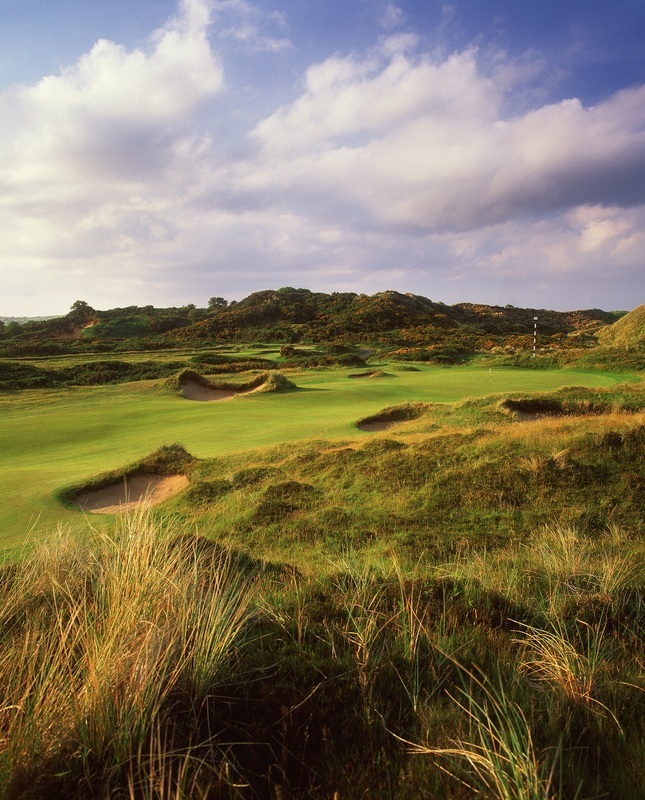 The 9th requires a high and long drive to view the fairway some 80 feet below while the par three 4th requires a carry of 200 yards over gorse and bunkers to reach the green. Overlooked by the ruins of 13th century Dunluce Castle, Royal Portrush is famed the world over for the quality of it’s turf and superb golfing holes. 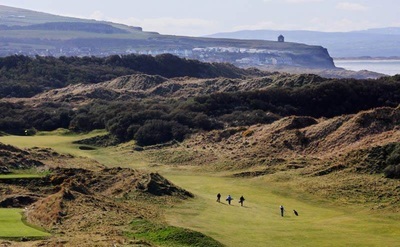 It holds the distinction of being the only course outside of England and Scotland to host the British Open, which it did in 1951.A true test of links golf to challenge and delight golfers from around the world. Speaking of challenges, how about the 210 yard 14th, aptly named “Calamity” which requires precision to find the green. 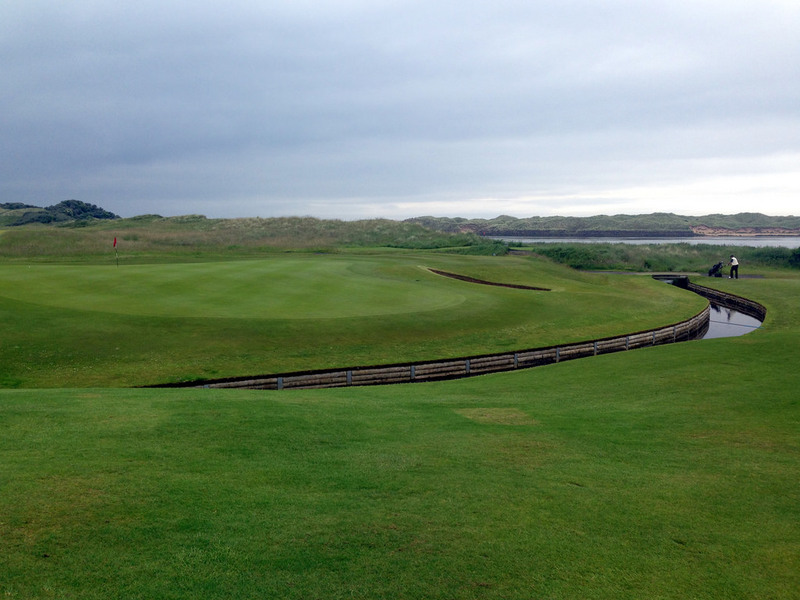 The Strand Course is the jewel in Portstewart’s crown. 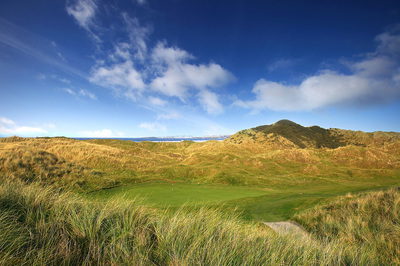 18 championship holes, 6779 yards, par 72, it presents a true test of golf set in classic links country amid towering sand dunes with views at every turn of the blue Donegal hills, the rolling Atlantic and the tranquil estuary of the River Bann.A particularly good opening hole presents the golfer with an elevated tee and dog leg right to the green, with the strand on the right. An 18 hole seaside course on the north-eastern coast of Ireland with some stunning views and of course excellent golf holes. 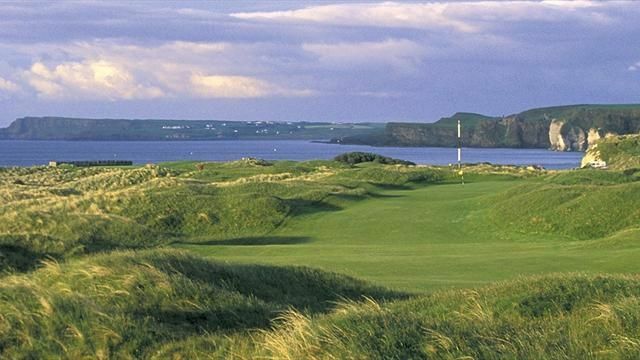 Ardglass is a two and a half hour drive north from Dublin Airport and only 25 minutes from the world renowned Royal County Down golf links at Newcastle. 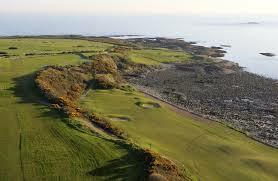 Ardglass really is a course to savour with some outstanding holes, two of its par threes, the 173yd 2nd and the 181yd 11th, rank among the best par 3’s in Ireland and the view from the 11th on a good day is to die for. 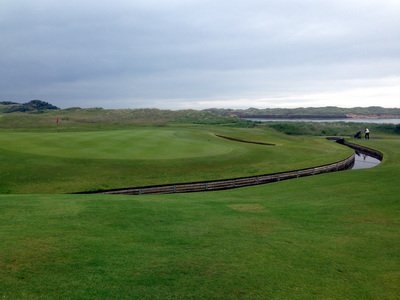 A gem of a links where the River Bann enters the Atlantic Ocean.The greens are renowned for their all year quality. In summer they can be treacherously quick with the ground being hard and dry. 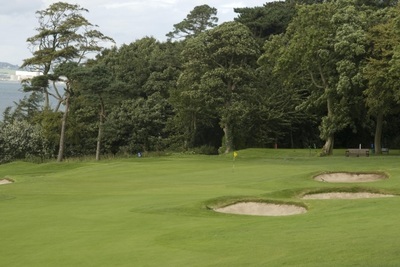 It’s most famous hole is the ‘Leg o’ Mutton’ 4th, a 200 yard par three hole with out of bounds both left and right and a raised green with some deep surrounding bunkers. 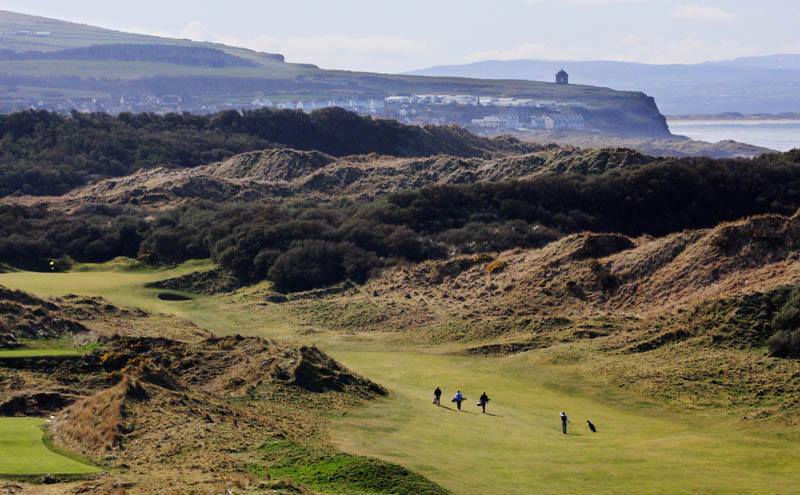 Castlerock boasts magnificent views of the Donegal Hills and the River Bann Estuary , with the Scottish Isles to be seen on the horizon. 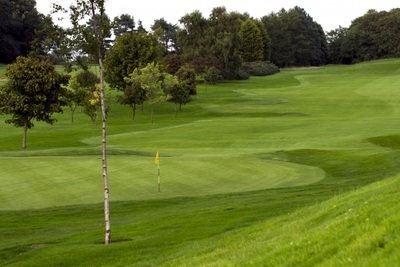 Lough Erne Resort 'Golf Resort of The Year' (Irish Golf Tour Operators Association, 2010) is home to two Championship Northern Ireland Golf Courses - The Faldo Course and Castle Hume Golf Course. In 1885 the Club became “Royal” after the Prince of Wales (subsequently King Edward VII, pictured left) was invited to become its Patron during a visit to Ireland. 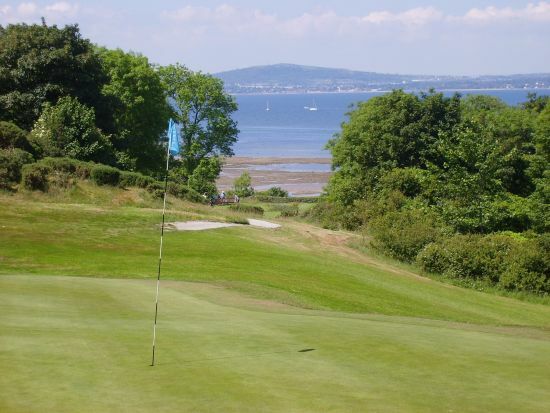 The current Patron is HRH Prince Andrew, Duke of York.What are believed to be the first golfing trophies in Ireland, early RBGC monthly medals, are today on view in the clubhouse.